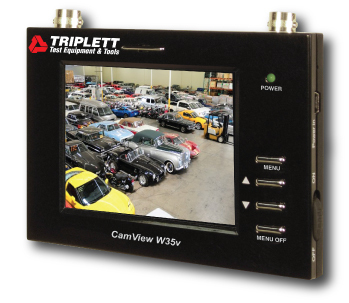 To view, manage, and adjust surveillance cameras with just one device, think about using the Tripletts Camview 35. 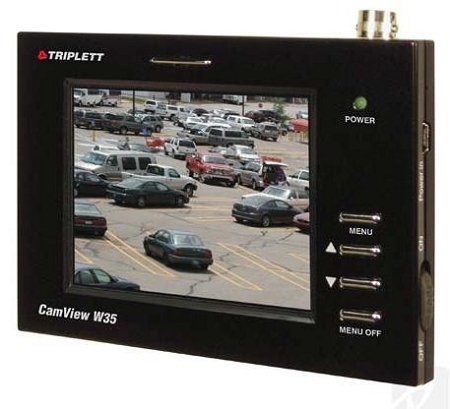 Designed for all-in-one camera monitoring and maintenance, and DVR output viewing, you can make major or minor adjustments to your camera from your hands. Equipped with an optional wrist strap or tripod, this camera view tool can be used as handheld or stationary equipment. The clear color 3.5 TFT-LCD screen displays information under the bright sun and indoors for easy viewing and quick adjustments. 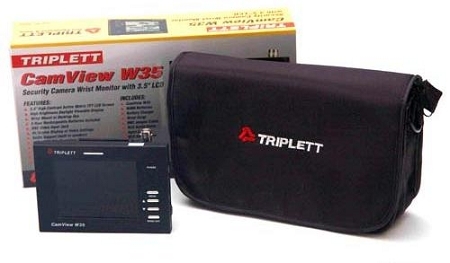 Rechargeable batteries are included with the Triplett Camview 35 for up to 6 hours of operation. When in-use, an auto-standby feature is programmed to save battery power when idle. Automatic NTSC/PAL operations are available to switch between to accommodate the system you are using. 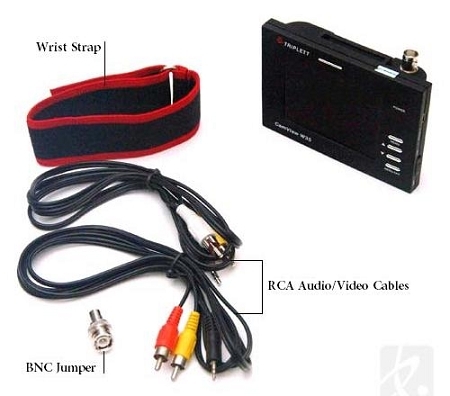 For universal camera connection, a BNC video jack in installed into the cctv wrist monitor, and speakers are built-in for audio support. For a list of the components included with this product, please click the "Specifications" tab. For additional knowledge about this product, please click the "More Information" tab. Product Dimensions 4 3/4" x 3 3/4" x 1 1/4"